The best advice I ever received from my mom was to trust my own instincts and remember that the person that knows my children better than anyone is me. Another great piece of advice I received from my God mother before having children was to remember that even though I will be better than my husband Neil at changing diapers and possibly everything else baby related in the beginning, no one has a Ph.D. in being a first time parent. She pointed out that fathers learn best from doing it themselves, especially when allowed to do things their own way (even if it is different and potentially less efficient than our way : ). Listening to my family and role models around me is the most valuable resource I have had in my life as a parent. I also feel indebted to the amazing books, blogs, articles and websites by out there by parents and educators whom I respect. I know that exploring all of these ways of parenting has helped me to learn what is important to me to do or not do in order to be a better mom and wife. Modern society fosters raising children on an island, so to speak. When I educate myself through reading, listening and discussing with other moms, I am reminded of the idea of "it takes a village." Not only does it take so many people in a community to raise children, it takes the support of a community to be the best parent you can be. People have been doing this since the beginning of time and it is so essential that we learn and grow from others - as long as they share and support you in what our instincts tell us is right for us and our families. The Pregnancy Book, William Sears, M.D. & Martha Sears, R.N. The Sleep Book, William Sears, M.D. The Breastfeeding Book, William Sears, M.D. & Martha Sears, R.N. The Healthiest Kid on the Block, William Sears, M.D. Nightime Parenting: How to Get your Baby and Child to Sleep, William Sears, M.D. 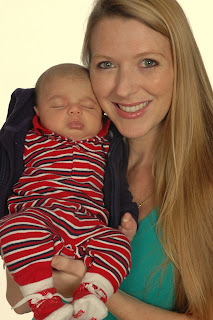 25 Things Every New Mother Should Know, Martha Sears, R.N. The Successful Child, William Sears, M.D. & Martha Sears, R.N. Yoga Baby, DAnsin Goodson Parker, Ph.D.
· Relaxation/meditation methods to relieve your mind of any anxiety or distractions. 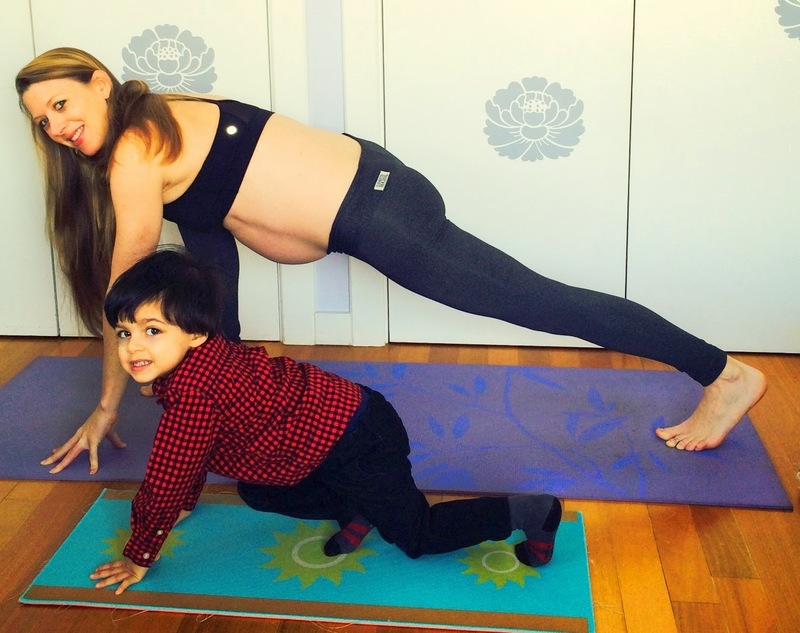 Ruah uses her experience of teaching yoga for over a decade, as well as her own pregnancy experience and being a mom to help you deeply connect to the best part of yourself and to your baby. 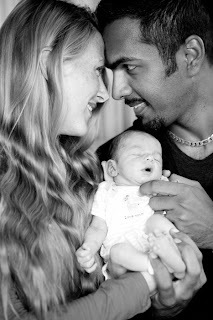 You will leave with a sense of feeling refreshed, invigorated and peaceful in your mind, body & spirit, ready to welcome your child into the world. Prenatal Yoga Flow is safe for all levels and all trimesters of pregnancy. ABOUT RUAH: Ruah Bhay has been teaching yoga for over a decade and has studied with a variety of teachers from backgrounds from Yogaworks, Ashtanga, Iyengar, Kundalini, Dharma Mittra and Swami Vivekananda SVYASA University. Ruah’s teaching style integrates each of these traditions while threading a theme connected to a yoga philosophy that inspires a happy and healthy life. Ruah’s class seamlessly brings the mind, body and breath into a harmonious union while encouraging a connection to the greatest teacher in the room – the one inside of our hearts. Ruah has been in many health & fitness features, collaborated with celebrities such as Russell Simmons and has also appeared in Marie Claire, Time Out, Beauty Logic, FOX, WPIX & NY1. She holds a B.A. in Political Science, an M.A. in Sustainable Development, is 500 hour Yogaworks Certified and Prenatal Yoga Certified. Practice with feet inner hip distance apart instead of together, especially in forward bends. No deep back bends, bridge & camel are ok also okay to do danurasana on your side if comfortable for your belly. No jumping - could displace uterus. Lying on belly is okay until it doesn't feel right. You can modify earlier on by placing a bolster or blkts below your thighs and come onto your forearms like sphinx pose. No deep twists esp where the arm crosses opposite leg. You can modify pvrta utkatasana (revolved chair) by taking a low squat and reachong one arm up the other arm down to the side. Open twists and modified twists are okay as long as the uterus is not being compressed. Usually if twisting, keep the top arm on the hip rather than extending it out to not put strain on your abdomen, like in Revolved side angle pose (pavritta parsvokonasana), or revolved triangle pose (pvrta trikonasana). Keep abdomen soft, but conscious. Use the exhale to hug baby in a soft udayana bandha (upward lift of energy lock). Modify any leg lifts as feels appropriate esp in navasana etc. Use blocks in standing poses to create more space for baby by helping to lengthen torso.